Estrellas, 73, 28350 Ciempozuelos, Spain. 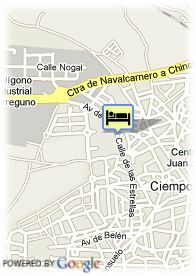 Las Estrellas is a quiet and friendly hotel in Ciempozuelos. 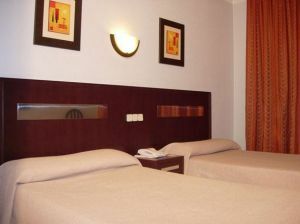 It is a nice and quiet establishment strategically located on Ciempozuelos city centre. Very well connected, the hotel offers comfortable rooms equipped with complete bathroom, TV-set, air conditioning and telephone etc. All its facilities are conceived in order to envelop the guest in an atmosphere of comfort and relaxation. It also disposes of snack-bar and restaurant, whers an elaborated and tasty cuisine can be enjoyed. It also offers a lounge for banquets and reunions. The hotel is perfect for those wishing to enjoy the tranquility. The centre of Madrid and its airport just a step away from the hotel.